This publication describes methods to choose, use and store various oils at home. Have you looked in your cupboard recently and don’t know what to make with some of the oils you have sitting on the shelf? Oils are fats that are liquid at room temperature. Many oils have distinct flavors and properties that make them tasty additions in your cooking. For heart health, nutrition experts recommend replacing saturated and trans fats with oils high in monounsaturated and polyunsaturated fats. The names of the fats refer to the chemical structure. Fats are chains of carbon atoms, and “poly” means the fat has many double bonds in the chemical structure. “Monounsaturated” means the fat has one double bond in the chemical structure. Oils are a mixture of polyunsaturated, monounsaturated and saturated fats. 1. Use the Nutrition Facts label when selecting foods, including fats and oils. Compare the fat, saturated fat and trans fat content among your choices. 2. Use oils containing monounsaturated fat, such as olive, canola, peanut and sesame oil, instead of oils high in saturated fat, such as coconut* and palm oil. * Despite the publicity for coconut oil as a healthful solid fat, the research-based evidence does not support all the claims. Use it in moderation if desired, and follow the guidance from the American Heart Association regarding fat intake. 4. Use liquid oils instead of butter, lard or hardened vegetable shortening. For best results, use recipes developed with the particular fat as an ingredient. In some cases, you can substitute ¾ cup of oil for 1 cup of solid fat (such as butter). 5. Choose foods higher in unsaturated fats, such as fatty fish (salmon, mackerel and tuna) regularly. 6. Incorporate foods high in polyunsaturated and monounsaturated fats, such as avocados, nuts, seeds (such as sunflower seeds and flaxseeds) and olive oil, into your salads instead of using products higher in saturated fats, such as many mayonnaise-based dressings. 7. Store fats and oils to maximize shelf life. Be sure to buy what you will use in a reasonable amount of time. Store oils in a cool, dark, dry place away from heat sources, such as near your stove. • Unopened containers: retain quality for one to two years on the shelf. • Opened containers: retain quality for a few months to a year. 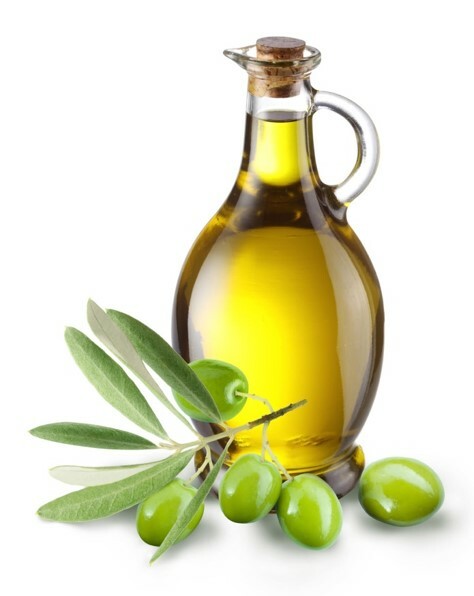 • Consider refrigerating oils to extend the shelf life. For more information about nutrition, food safety and health, visit: this website. Preheat the oven to 400 F. Mix pumpkin, brown sugar, eggs and oil thoroughly. Blend dry ingredients, then add to pumpkin mixture. Add raisins and nuts. Drop by the teaspoonful on a greased cookie sheet. Bake 10 to 12 minutes until golden brown. Makes 28 servings (two cookies per serving). Each serving has 100 calories, 11 g fat, 0 g protein, 0 g carbohydrate, 0 g fiber and 60 mg sodium. Oil: Try canola or olive oil. They have different flavors, but both provide healthful monounsaturated fats. Canola oil costs much less and will make your homemade salad dressing a bargain, compared with store-bought salad dressings. Acid: Try different flavors of vinegar or fruit juice. With fruit juices, you typically can use more acid and less oil, making a lower-fat salad dressing. Seasonings: Try any herbs or spices, salt, pepper or chopped vegetables (such as onions or peppers). Store salad dressing in the refrigerator. Put all ingredients into an airtight container. Secure the lid and shake until ingredients are combined. Salad dressing can be stored in the airtight container in the refrigerator for up to one week. * Many store-bought salad dressings are high in sodium, so creating your own can help you trim sodium from your recipes.